System efficiencies: Best practice in action Improving standards, defining minimum requirements and integrating various parts of the supply chain. Since the introduction in July 2015, the heat networks: Code of practice for the UK has become a quality benchmark for all professionals involved in community heating. With community heating sector now under intense scrutiny, make sure you are fully up-to-date with these baseline standards to make a success of community heating. 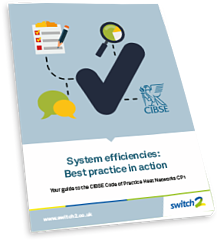 Download your FREE eGuide on best practice and system efficiencies.